Can we tap the secrets of the future? And if so, is religious prophecy or rational prognosis the more reliable guide? When I wrote this book I wanted to know why, when we’re so clearly in the middle of things, we routinely imagine being visited by the end? This lively enquiry into humanity’s obsession with its own ultimate demise, revisits the brooding and righteous world of apocalypse, where our darkest nightmares threaten to burst into the realms of the real, vindicating the lucky few, while condemning the rest of humanity to eternal suffering and punishment. 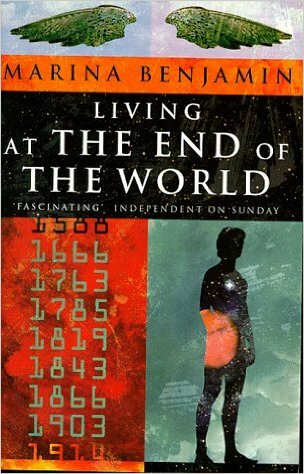 After the ancient Jews banished apocalyptic books from the Bible, eschatology went underground. But it reemerged with the cult of Jesus, and from there went on to live many lives; from Patmos to Waco, the Reformation to the French Revolution, Joanna Southcott’s virgin birth to Joseph Smith’s empire building, to Heaven’s Gate’s Hollywood-style suicide pact. Now, I argue, the apocalyptic meme imbues film, fiction and fitness culture; it underpins our directional understanding of cosmology, the purposeful march of history and the teleology of climate change. It sometimes feels as though we can’t see ourselves clearly, without having the end of all things in view.